We’ve got you covered. 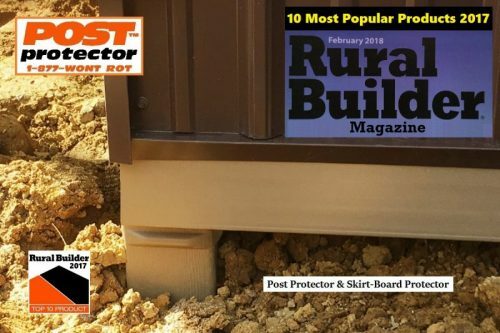 Post ProtectorTM combines strength, durability, and the kind of tough exterior that’s going to deliver the long-lasting performance you demand. Post-frame construction has permeated every facet of American life. You could even say it’s fast becoming “The American Way.” And Post Protector™ is right there to back it up. Build water tight and so secure the bugs can’t bite. Go with the one name that’s revolutionizing post-frame construction. Post Protector.™ Quality is our strength.